I adore salads and love finding new ways to enjoy them. Recently, I was looking for a low-fat Asian style dressing. I stood in the salad dressing aisle at my local grocery store reading labels. I was stunned. Every brand of low-fat Asian style dressing had an ingredient list that read like a science lab manual. I couldn't decipher most of the ingredients but MSG, corn syrup and hydrogentated fat stood out. 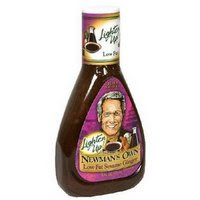 When I picked up Newman's Own Lighten Up Low Fat Sesame Ginger Dressing, I knew I had found a winner. The ingredients are things I use in my own kitchen: soy sauce, sesame oil, ginger, garlic and onion. And the nutritional profile is great: just 35 tiny calories in a two tablespoon serving -- plenty to dress a salad. At home I prepared a salad of Boston Crunch lettuce, shredded red cabbage, grated carrots, celery, sliced green onion and chopped peanuts. I drizzled on some of the Newman's Own Lighten Up Low Fat Sesame Ginger Dressing... and WOW! This is a truly great vegan dressing that will jazz up your winter salads. You've got to try it! My favorite advocacy groups is Physicians Committee for Responsible Medicine and one of their best outreach efforts is The Cancer Project, which hosts outstanding cooking classes. I took one last year led by Susan Neulist. Susan is a Veggie Hero for sure and she recently moved to my home town of Asheville. She's been teaching cooking classes for The Cancer Project for more than two years. * Are you vegetarian or vegan? * How long have you been veg*n? I have been vegan for approximately 12 years and vegetarian for 4-5 years before that. * What inspired you to go veg? I was inspired by T. Colin Campbell and his research on the China Project. I was living in Ithaca and my sister-in-law, Marilyn, was his assistant for many years at Cornell University. After hearing his thoughts and information it just seemed like the most sensible way to eat, for my health and for the health of the planet. Through the years I find so many reasons including health and environment – animals and also for my spirituality. * What's your best story of trying to find veg food? I guess the biggest challenge for me was hiking the Inca Trail in Peru. Meals were prepared for us along the way by wonderful Peruvians but not always were they clearly vegan. I did my best and ate lots of quinoa and vegetables. The interesting thing was that of the 13 folks who were on the trail with us, the ones that were not vegetarians were the ones who got very sick – must have been some meat somewhere that caused the illnesses. * How do you handle family holiday dinners? The easiest way is for me to make many of the parts of meals myself and mostly my extended family likes whatever I make. I have made large Thanksgiving dinners in the past that were vegan and it always goes well. Over half my family is vegetarian which of course, makes it easier. Since I enjoy cooking and serving it is easy for me to make things that people love. My dear husband, Richard loves everything I make and recently he has begun to enjoy cooking too – which makes me happy. * What's your favorite veg food? I guess my favorite is salads – with lots of things in it – seeds, nuts and vegetables. Sometimes with beans too. My favorite cooked vegetable is sweet potatoes – with ginger! Yum…. 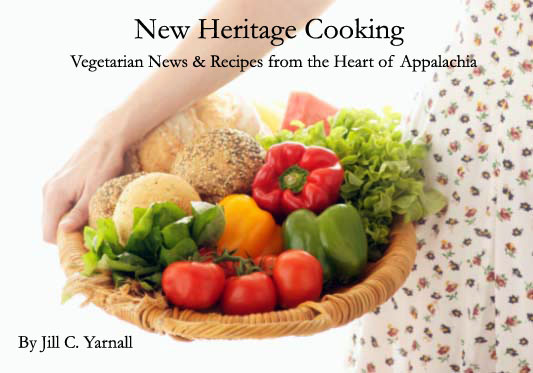 * Do you have a favorite veg book? Tempeh, though I do not cook it often myself. I love it when I go to restaurants. * What did you have for breakfast today? Eight grain cereal made with sunflower seeds, pumpkin seeds and served with some raisins and banana. My husband and I eat this at least four days each week. Today the FDA announced that meat and milk from cloned animals is as safe as that from their counterparts bred the old-fashioned way. So, where does this blog fall into the picture? I'm not sure. If I have a push from you to continue, I will... even if it is sporadic. Newswise (01/09/08) — A new scientific review of the most current research shows the link between eating oatmeal and cholesterol reduction to be stronger than when the FDA initially approved the health claim's appearance on food labels in 1997. Dr. James W. Anderson, professor of medicine and clinical nutrition at the University of Kentucky College of Medicine, co-authors "The Oatmeal-Cholesterol Connection: 10 Years Later" in the January/February 2008 issue of the American Journal of Lifestyle Medicine. • low-density lipoprotein (LDL, the "bad" cholesterol) is reduced without adverse effects on high-density lipoprotein cholesterol (HDL, the "good" cholesterol), or triglyceride concentrations. More recent data indicate that whole-grain oats, as part of a lifestyle management program, may confer health benefits that extend beyond total cholesterol and LDL cholesterol reduction, Anderson said. 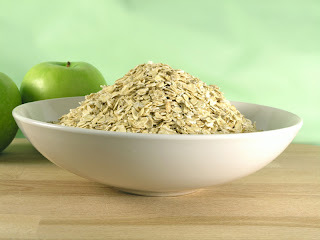 “Since the 80’s, oatmeal has been scientifically recognized for its heart health benefits, and the latest research shows this evidence endures the test of time and should be embraced as a lifestyle option for the millions of Americans at-risk for heart disease,” said Anderson.